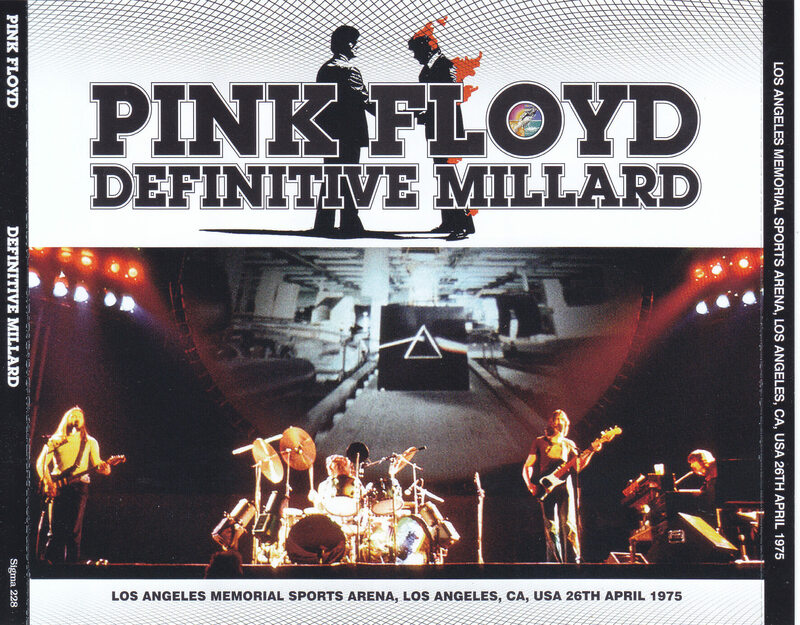 The Pink Floyd 1975 legendary recording updated by that Mike Millerd! The long-stopped LA performance is finally at the top of the 2019 latest technology! 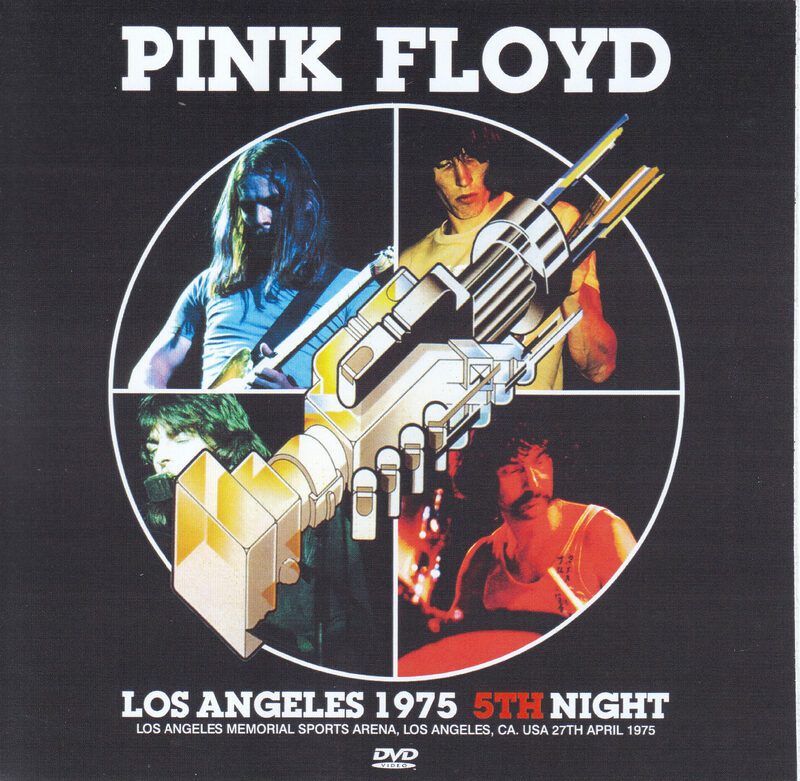 Speaking of the United States tour of Floyd 75 for sound source fans, it is a treasure trove of excellent sound sources with excellent recordings. In particular, high-quality audience recordings such as “ARMS OF VANCOUVER (Sigma 56)”, “SEATTLE MASTER REELS (Sigma 58)”, “THEORY OF RUIN VALUE (Sigma 46)” such as the first US tour in April It is lined up and fascinates sound source fans. 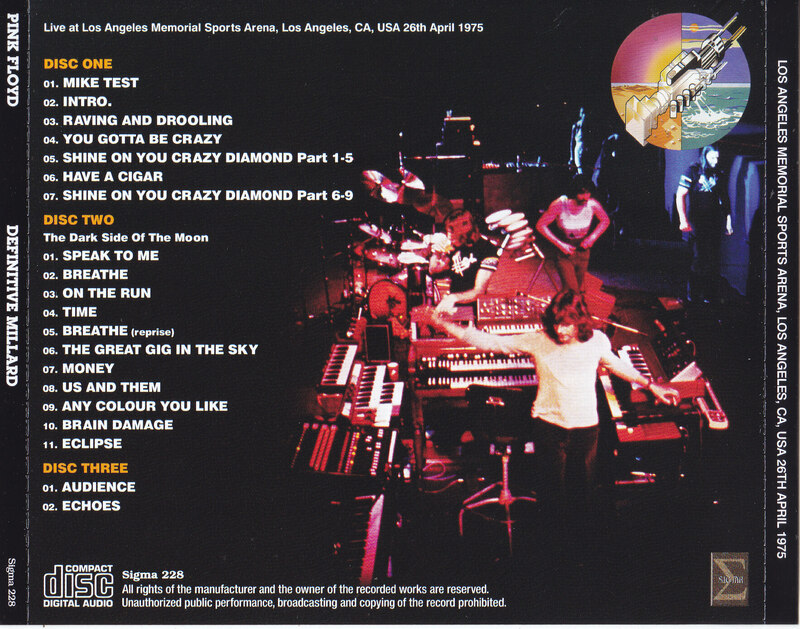 However, it is a legendary taper that the recording excellent in sound quality was outstanding during these performances of April in the 70’s, Los Angeles performances of April 26 by Mike Millerd. 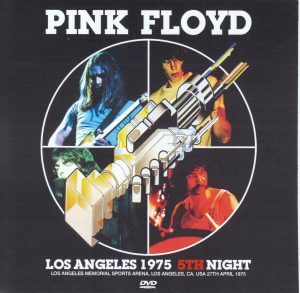 This is a very special-grade high-quality sound recording, and so far this Sigma label has released a decisive strike such as “LOS ANGELES 1975 4TH NIGHT (Sigma 148)” including “PINK MILLARD (Sigma 31)”. In particular, the Sigma 148, like the Sigma 31, does not have a slight excess equalization and convenient cut editing, and keeps the 1st Gen’s clear mirrored recording transferred to DAT tape almost untouched and untouched except for pitch adjustment. It was highly appreciated that this show was well received by fans as an overwhelming title, not an exaggeration to say that it is the top of all existing 1975 sound sources. It is a translation that is a standard sound source that represents the Floyd 75 sound source, but this is why it is also possible to push the perfection to the ultimate thing that brings the perfection from the beginner to the expert. I think that it is the mission of leading Sigma. As well known, this sound source is so excellent in recording that it does not feel particularly uncomfortable on hearing, and it seems that there is no problem in sound quality, but it is not necessarily true if it is completely essential It is not. Especially I would like to pay attention to the variation of the mid-bass range, which I notice to visualize with the master sound waveform of the mirror, but some of this range expand slightly and the sound image becomes cramped (= something that has a close feeling) In the meantime, there are places where the sound component runs short and you feel light. In addition, it is also possible to see some places where the spread of the sound can not exert its original potential. From an audio point of view, it is assumed that the density of this midrange is high and the balance between bass and treble is well in order to make a sound that is responsive. In particular, if this middle to low range is properly organized, the sound will be more stable and energetic, and at the same time improvement in sharpness and extension of the range can be expected. It can not be done. Even if it is a standard recording representative of Floyd 75, it is also carefully restored to the ideal waveform with the latest equipment and technology of 2019, and it is arranged to the sound image of the next level without defects even in a severe eye You should see the crown overhead. Yes, it is the 2019 edition of the mirrord recording of this latest film, the most vivid sound image of the source ever, that made it come true! However, since it was a quite high-quality sound board even at the time of Sigma 148, if you have that, you might be wondering, “Is there anything that makes a difference?” However, if you listen to this film, it is a content that you can understand in a skin sense how carefully adjusting the middle to low range has a great effect on musical energy and driving feeling and the directionality of the music. is. 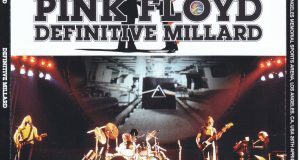 For example, it is Mike Millard’s voice heard at the beginning of Disc 1, but I would like to pay attention to the silent part behind his voice. With this board, you will notice from this slight opening scene that the sound has not already been clogged up (= the band has broadened and the gap has improved). “Raving And Drooling” also shows the strength based on accurate waveform control noticeably in the sound, and in “You Gotta Be Crazy”, clear sound and luster appear with a beautifully arranged sound image, and the music is final Interesting musical vocabularies before they are shaped are becoming more and more in full swing. 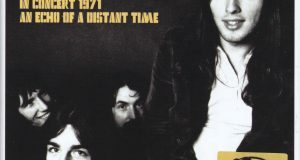 The difference between the sharpness and power of single tones is easy to grasp in the beginning of “Shine On You … Part 1-5”, and the thickness of the hard sound coming out from 3:46 is unique to this record. 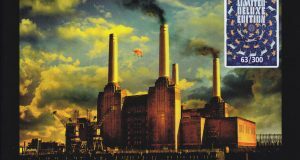 “Have A Cigar” also shows that the reach of the two voices is clearer by the extension of the range, “Shine On You … Part 6-9” in the gap between the sound and sound Sigma 148 or more I think that you will be scolded by the sense of density of From the middle stage 7:03, the impressive bass sound jumps out with a sense of massive elasticity, and the MC and in-the-field reaction that can not conceal the discomfort (to the audience with low morale audience) who enters after the final performance You can experience it with a sound image with an even greater feeling. 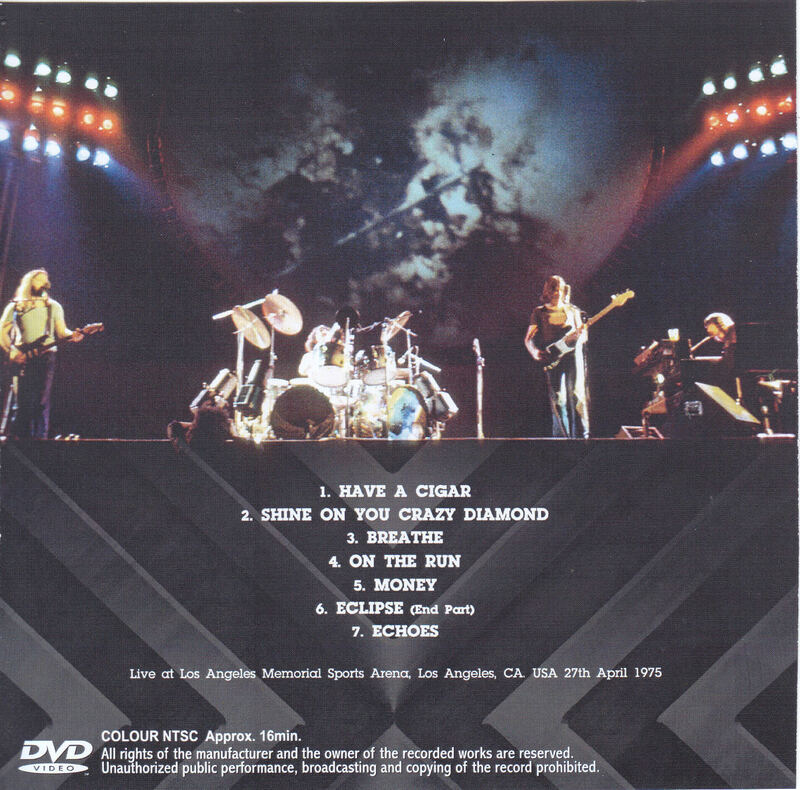 The dark side set also has a three-dimensional cross between the guitar and the bass in the early stages of “Breathe” and “Money” than the Sigma 148, and the increase in space and the omission of reverberation in “Time” and the goodness of the reverb The singing line also became clearer, and it became possible to grasp the charm attractive to the original sound. As for “Us And Them”, the voice of the female chorus appearing slightly like the voice behind Gilmore’s voice becomes clear, and this seems to be proof that the original sound has been polished with the latest technology. Although the reverse point (with a slight loss of sound) of the master tape at 5: 01 of “Any Color You Like” remains as it is, this mirrord recording can not be patched on the same day as a source that can compensate for the patch. , Here is the form of the original sound recording. However, it will be necessary to check the cymbal sound and the point where the delicate weak sound of the guitar touch is more easily heard. Towards the final stage “Brain Damage ~ Eclipse” soft dreamy sound image, and the mellow sound of the bell sound coming after the final performance is a finish that can be affirmed that the best figure of mirrord sound source. I think you can see that the loud sound of the bass that stands out from around 7:15 is sharper than the Sigma 148 version in response to “Echoes”, and similarly, it is also due to a drop in the number of toms coming in from around 9:49 The appearance that the first half scene disappears is also better than ever, and both have produced results by close scrutiny and review of the range. In addition, the sound of fireworks (※ Pyro?) Rising at 17:50 is also clearer, and even the documentary nature as a recording that the original sound is hidden is embossed with the best sound. Please check carefully with the ear, the difference in the case of the sound that is appropriate for being heard afterward !!! ★ Adjusted the mid-low range to broaden the entire range and to make the performance clearer. It is difficult to understand because it is an adjustment that does not bring out a sense of equalizing and high-quality sound originally, but it is clear. 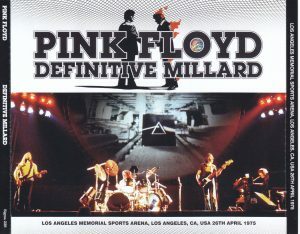 The bonus to commemorate the birth of the large decision board press 3CD “DEFINITIVE MILLARD” is a valuable color image of “WISH YOU WERE HERE TOUR 1975”. 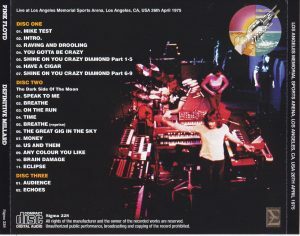 Although the “Los Angeles Memorial Sports Arena” that recorded the main part was the fourth day of five concerts in the same venue, this work is the next day. It is an audience shot taken on the last day of “April 27, 1975”. Even though it is a valuable 1975 movie, this work is just the master image quality beautiful. While the screen is full of vintage feeling peculiar to film shooting, the color is really beautiful, like the sense of the age of a 70’s movie. In addition, the voice which is covered is also excellent until the saxophone blow which is done with “Money” in the finest. It is the quality that the scene 44 years ago revives so vividly that no more than this. Moreover, despite the age when “audience photography” has not been established as in the present age, the superbly stable angle, the field of view with zero shielding, and the camera work with a good sense are amazing. Although it is a 16 minute digest shooting, the highlights of the entire show are held from the whole show, band performance close to it, fantastic scenery of flying writing, airplanes, gimmicks such as rockets, etc., etc. The scene spreads out on the screen. Although it is “DEFINITIVE MILLARD” which has just appeared as a historical decision board, only the sound can be tasted there. This work taken at the same venue and the next day adds “sight” to the sound world of such a big decision board. A rare image that seems to be felt in the air and smell of the 1975 venue. It is a piece that brings “imagination” to “reality” and “appreciation” to the “experience” dimension. Masterpiece coupling set of sound and image that has been transmitted to the present age. Please enjoy by all means together.